My issue with single speeds is I ride them like a regular road bike on long rides so I want bottle cage braze ons and brakes on both ends. Vintage track bikes just don't have that. 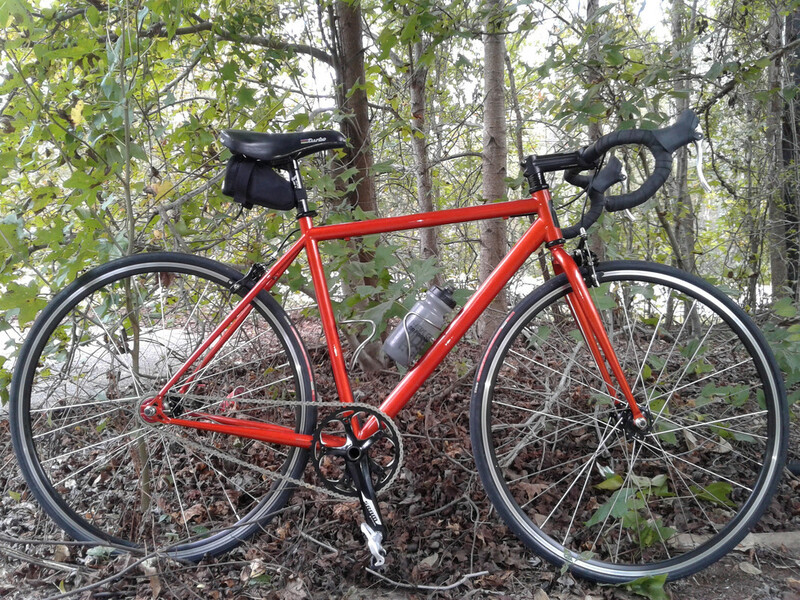 Mine isn't vintage but it's butted steel made by the now-defunct Swobo. It originally had flat bars but I converted to drops before my first ride. It also came with 45mm tires but now I run Vittoria Open Corsa 25mm's. 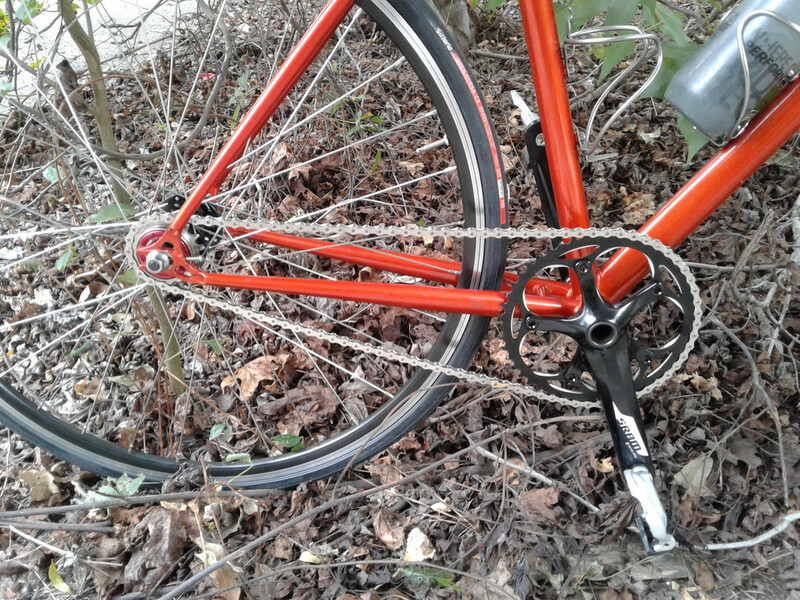 It's really versatile, it handles surprisingly fast like a race bike which I didn't expect with big tire geometry but I could also use it for gravel or CX. The rear fork ends are very nice and the downtube is hydroformed in a diamond shape. Withypool on Exmoor. I’d forgotten how steep the climb out was and ended up walking. Fossala probably rode it. What do you guys think of the Shinola Detroit Arrow? The frame is actually made by Waterford and I can get one new complete for $800. The fork is a work of art. I just don't like the one cage mount on the ST instead of the DT, and if you remove the chainguard you'll still have that mount welded to the chaninstay. I managed to ride every hill that day. Quickest 200k I've done.